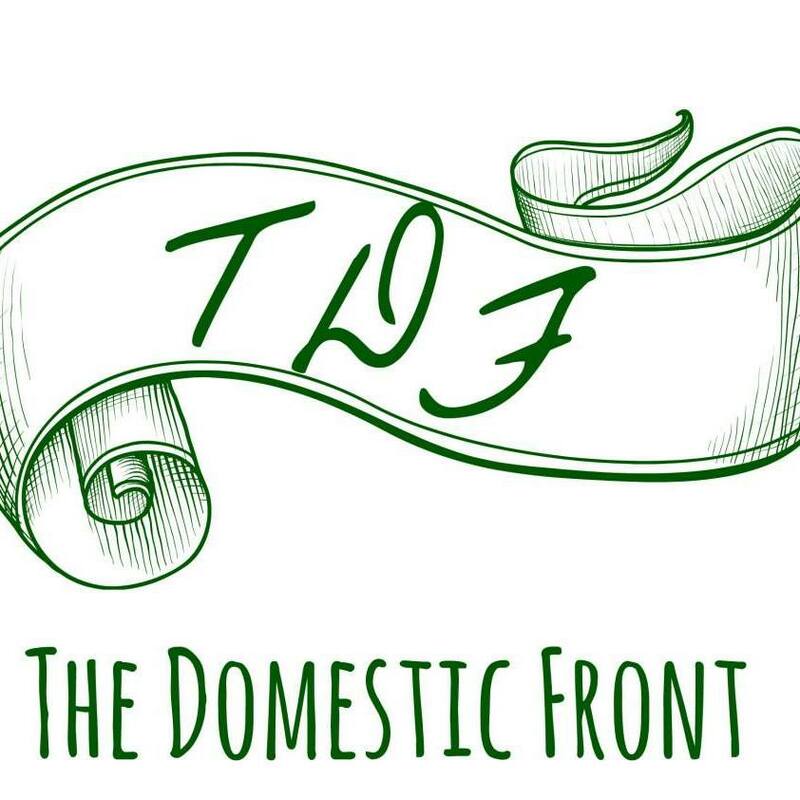 I have a terrible sweet tooth (as you may have divined if you’ve been reading this blog for any length of time), but my sweet tooth is not typical. Not for me the sweetness overload, the gooey cakes, the sugary cookies and candies. I prefer a more subtle sweetness, balanced by savory, or tart, or nutty flavors. Something that could easily be served for breakfast or afternoon tea. Enter the clafoutis. A classic French dessert that’s sometimes described as a custard, sometimes as a pancake. It is a custard with flour, a pancake with more cream. Or it’s own thing. An eggy, custardy, but not insubstantial dessert with a subtle sweetness that is braced by whatever fruit it is made with. It’s not much to look at, generally — it’s really a country casserole, with nubs of fruit poking through a golden, eggy crust. It’s practically foolproof to make, and the batter comes together almost instantaneously. And yes, I am hooked. The classic clafoutis is made with cherries, and indeed, a cherry clafoutis was on my agenda as I hit the grocery store. But then I spied the rhubarb — enticingly ruby stalks promising fragrance and tartness and that indefinable exotic yet familiar flavor that only rhubarb offers — and I was a goner. I adore rhubarb everything, and I like it best where the flavor of the rhubarb shines through without much adornment in the form of strawberries or orange juice or other such nonsense. Rhubarb does, however, pair beautifully with custard, as the English know so well, and I thought it would make a lovely clafoutis — it’s melting tenderness complementing the silkiness of the custard/pancake. 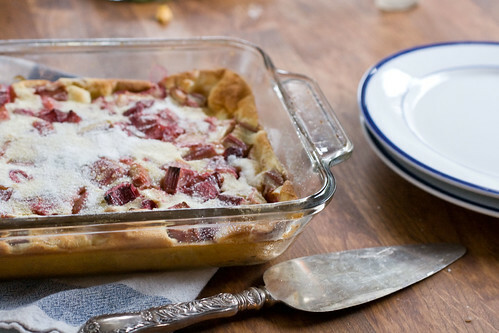 Not too sweet, fragrant and juicy from the rhubarb, with the eggy structure of the clafoutis? Yes please. The excellent clafoutis base is from Dorie Greenspan's Around my French Table. It can be adapted for any fruit. Preheat oven to 400 degrees. Chop the rhubarb into roughly 1 inch pieces, taking care to discard the leaves. 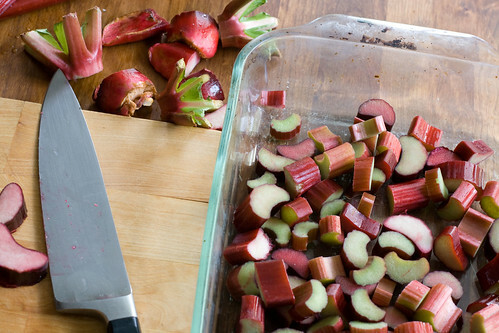 In a 10X6 baking dish, toss the rhubarb pieces with the sugar. Roast 10-15 minutes, or until the rhubarb is tender. In a large bowl, whisk the eggs together with the sugar until blended. Add salt and vanilla, whisk until combined. Whisk in flour until thoroughly combined, then whisk in cream and milk. 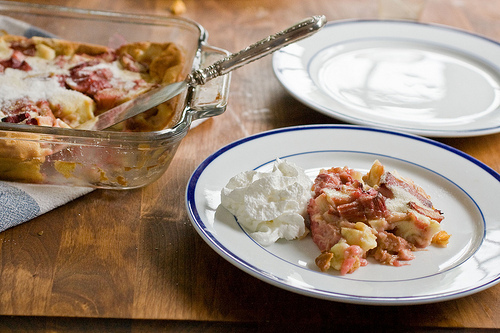 Pour Clafoutis batter over the roasted rhubarb. Bake at 350 degrees for 30-35 minutes or until the clafoutis is puffy and golden. 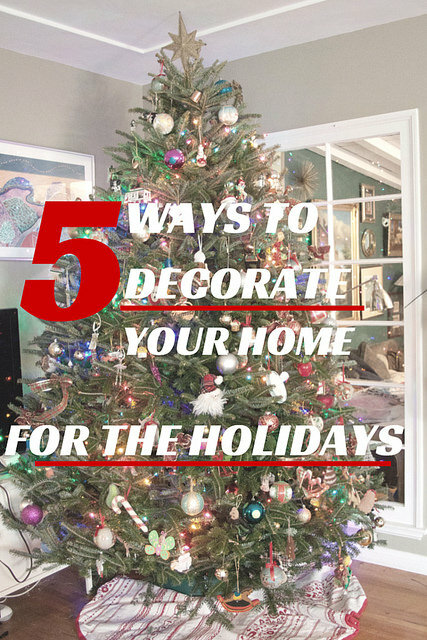 Sprinkle additional granulated sugar over the top, and serve with whipped cream. Interesting. I love rhubarb as well and so far this spring have made a strawberry-rhubarb cobbler, a rhubarb buckle and strawberry-rhubarb jam. I agree that rhubarb doesn’t need to be paired up by to my mind, strawberries do or else they are too sweet. I am dying to try a clafouti, but am worried that my kids won’ t like it. Perfect! I just got a few stalks of rhubarb from our CSA yesterday. Do you know about how many stalks makes a pound? 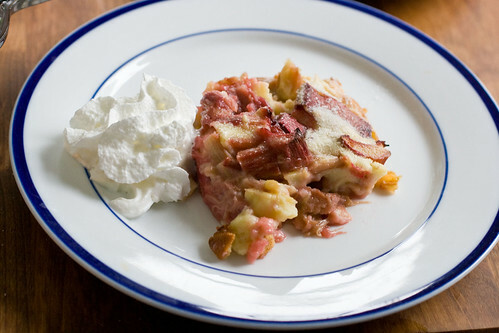 This is the best rhubarb clafouti recipe I have found so far. I find that reducing the sugar to 1/3 cup tastes great and to make this recipe wheat free, I double the eggs and add 2 tbsp coconut flour instead of the AP flour. Works wonderfully. 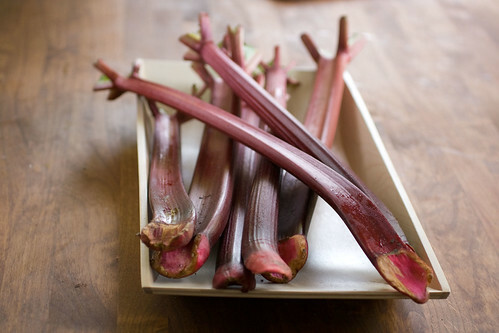 As to Bev’s question — I find that around 5 or 6 thick stalks make a pound of rhubarb. 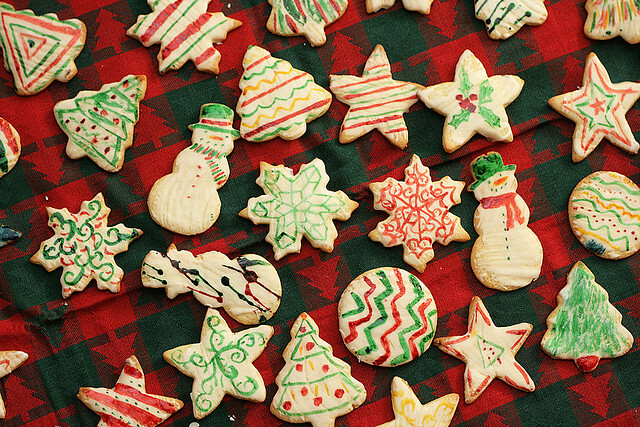 This is simply a delicious recipe! I threw a handful of left- over blueberries into the roasting pan with the rhubarb, and proceded as the recipe indicated, and Voila, Clafoutis:) As wonderful as it tasted “warm,” after having been refrigerated it was lovely for Breakfast, warmed just a bit in the microwave.